Globalization is a phenomenon which has attracted much attention in the past, but there are still many questions that remain unanswered. This book categorizes globalization into three types: Financial Globalization, the collapse of the Cold War order and the ensuing convergence toward the capitalistic system; and the rise of the emerging nations. The globalization of capitalism has two implications. One is trust in the market economy system and support for a minimal state while another is an aspect of the Casino Capitalism as typically seen by the rampant emergence of hedge funds. 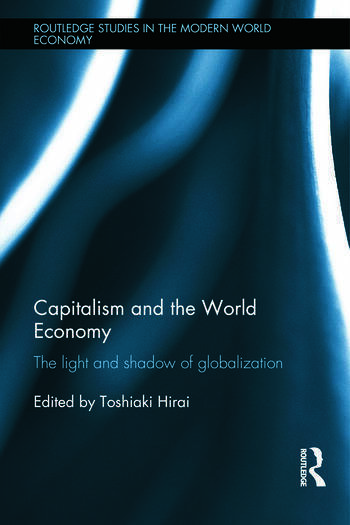 This book explores both the light and shadows cast by globalization, endeavoring to identify both positive and problematic effects of the globalization process on the world economy. For this purpose we would first examine the nature and the feature of the world capitalism in relation to globalization. Then we would discuss and investigate the path along which important nations - first the developed nations (the USA, EU and Japan), followed by the emerging nations (BRICs) - have proceeded under the influence of globalization. Focusing on this phenomenon from diverse points of view, which is to be taken by the first-rank contributors in their fields, will be extraordinarily fruitful for understanding not only the world capitalism. This collection, from a selection of leading international contributors, will not only shed light on world capitalism as it is now, but will also offer pointers as to its future directions.